Hi there Doodlebug fans - its Tya here up on the blog today to share with you my October 31st Collection project. Can I just say - I LOVE Halloween! It really is one of my favorite holidays! 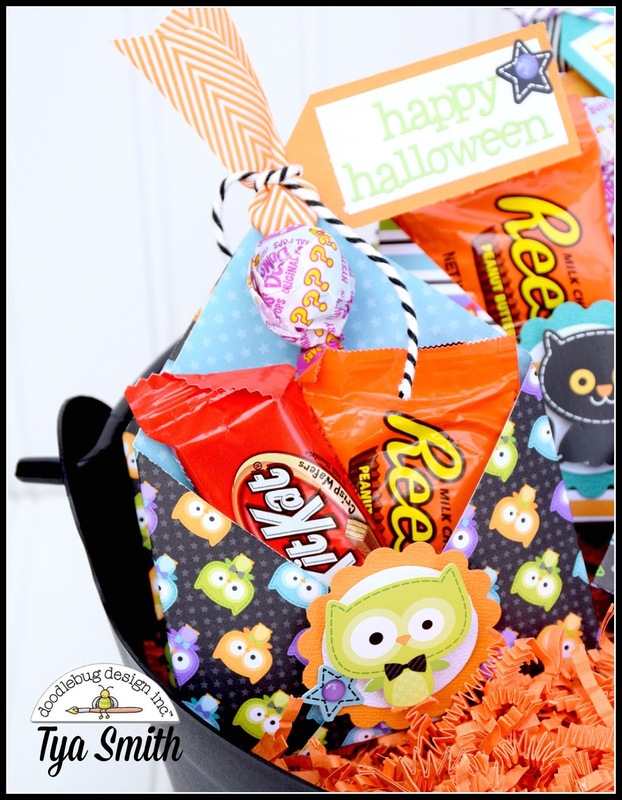 One of the best things of course is being allowed to eat lots and lots of candy! So today I am sharing with you a little tutorial on how to make a cute little bag with 2 pockets you can fill up with treats! 1- Take an 8x8 inch piece of paper. Lay it on your scoring board and score right down the middle at the 6 inch mark. Then score at 5 1/2 and 6 1/2. 2- Rotate your square a quarter turn to the next 2 points. Score at 4 and at 8. 3- Fold the 2 sides in. They will overlap. 4-Fold the paper over on the center score mark - the pockets will be on the inside. 5-Now fold the top flap up on the top score mark. 6- Fold the other side on the other score mark. 7 - This is what the pocket will look like once you have folded on all the score marks. 8 - Punch a hole in the top. So easy and so fun right? Here are few of the ones that I made. I used lots of pattern papers from the October 31st collection. I also used some stickers from the Icon Sticker sheet and some glitter sprinkles. 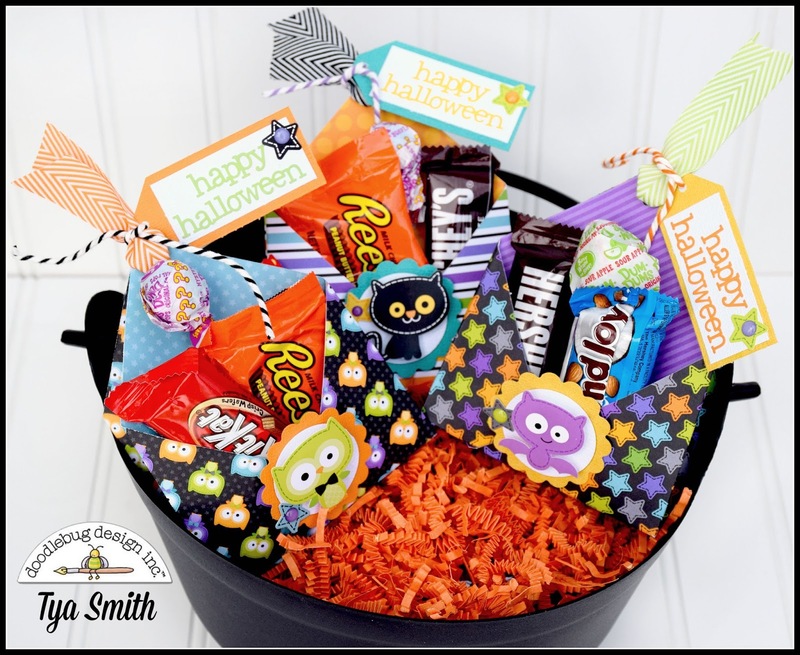 For the tags I used a 1 1/2 inch scallop punch and a 1 1/4 inch circle punch .I used some Happy Halloween Doodles for the tags. 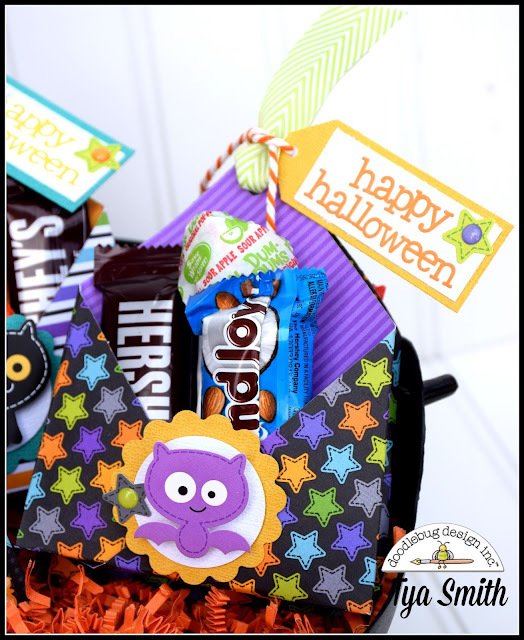 The bag is topped off with some cute ribbon and the brand new Doodlebug Chunky Twine! 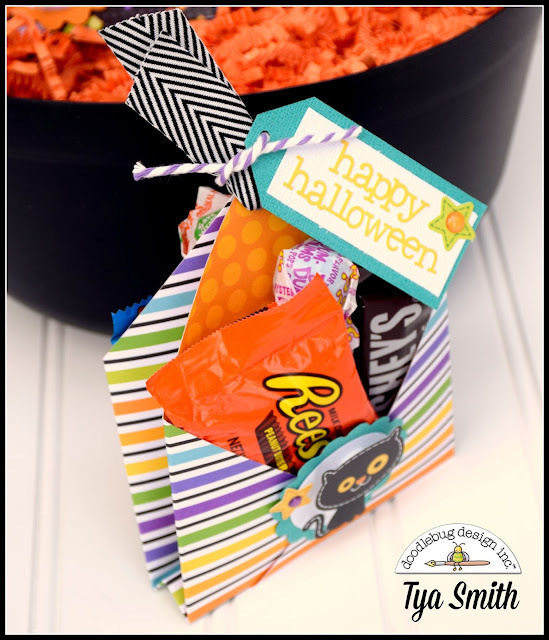 Hopefully I have inspired you to make a few of these for your special little trick or treaters! Candy always tastes better when it comes in a cute package right? Happy crafting everyone! Such a fun idea Tya!!!! Those treats are fabulous! 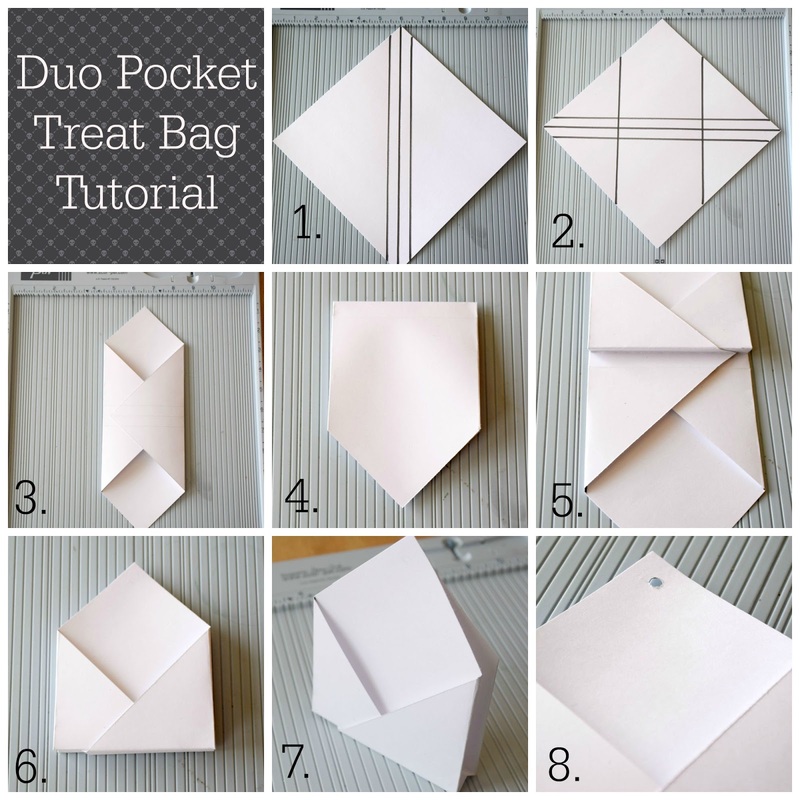 Thanks for the tutorial, I will definitely make some of these cute treat bags! I love it! So sweet!!! Thank you for sharing!